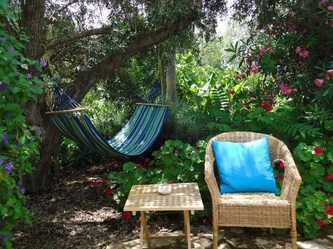 Montegiao in the Algarve is a oasis for nature lovers. The Montegião is located near the picturesque village of Moncarapacho - nestled among fragrant orange and lemon trees. Our farmhouses of Montegiao (Quinta) is situated far from the tourist strongholds and has been lovingly restored. 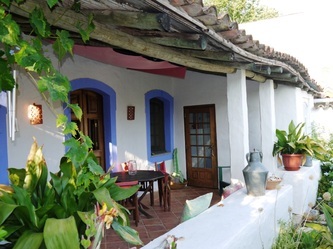 At present, the Quinta offers 4 separate cottages "Casas" with accommodation for up to 18 guests as well as a swimming pool surrounded by banana trees bamboo and giant strelizien. 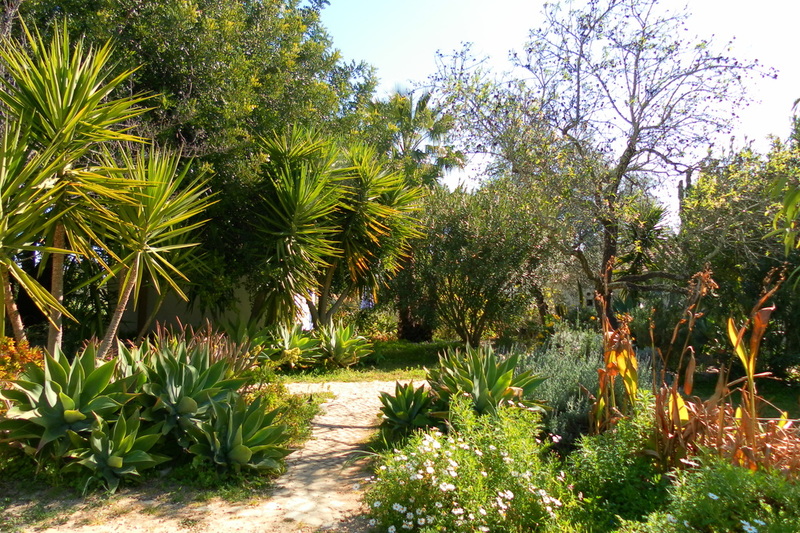 The spacious gardens with traditional trees such as olive trees, carob trees and almond trees , and our organically cultivated vegetable garden, along with the surrounding orange groves provide the framework for peace in mind and tranquillity in a fantastic environment. 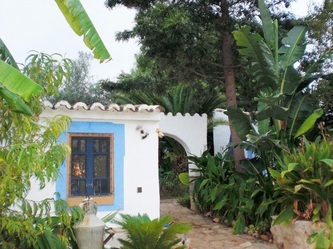 We are located near the beutiful beaches of the Algarve and the rocky mountainous area of the Barrocal Algarve .The East of the Algarve (Ria Formosa-Natural Park) with its miles of sandy beaches is a ideal starting point to explore the diverse natural, cultural and tourist attractions of southern Portugal. 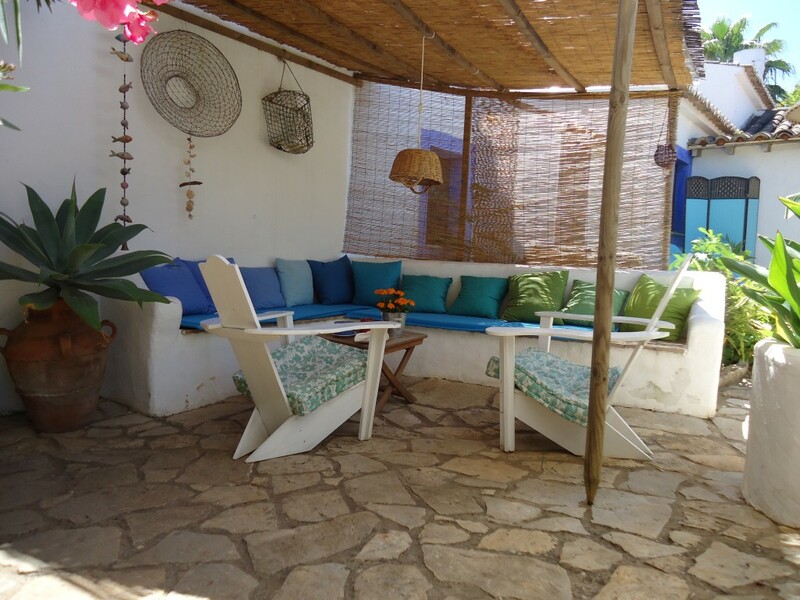 Our regular guests very much appreciate the warm, hospitable and friendly atmosphere we always aim to create. 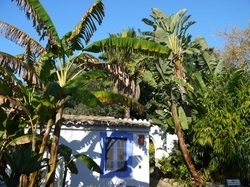 and we very much look forwart to meet new guests at our "Quinta".